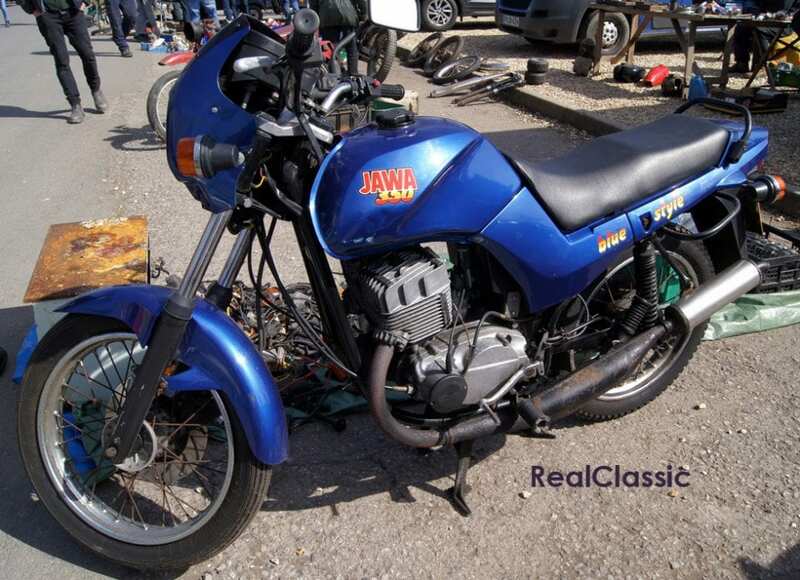 The VMCC’s Shepton jumble is just that: an autojumble. It’s not a show as such, although we always find plenty to gawp at. 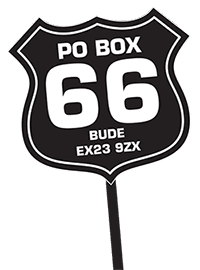 It’s a place to buy bits to fit to bikes, and a place to find bikes which needs bits fitted to them. We walked around for four hours and didn’t see everything, but we did see plenty of old bikes in the ‘ripe for restoration’ category. 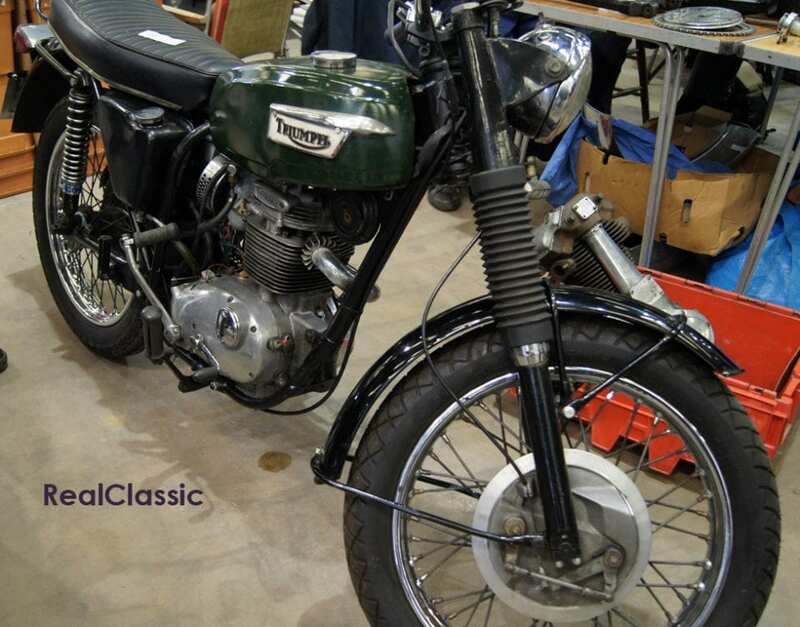 Here’s one now; a 1968 Triumph T100C, the street-scrambler styled, single-carb 500 twin: up for grabs at £2750. 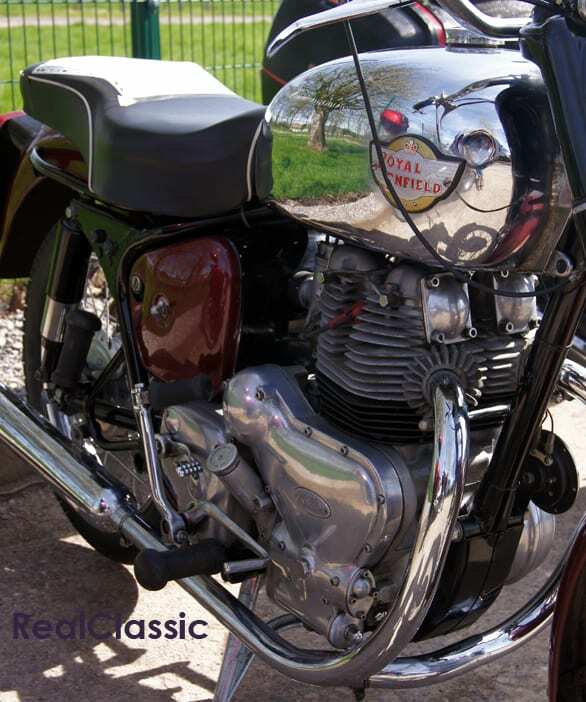 So you can put to rest any worries that the supply of ‘barn find’ bikes has suddenly dried up, or that interest in classic British motorcycles is waning. 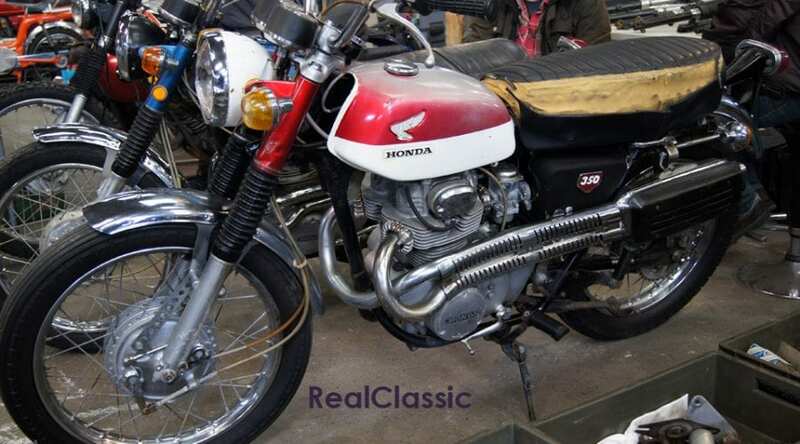 Equally, vintage Japanese motorcycles appear to have integrated into the overall classic scene so effectively you can barely see the joins these days. Sagging paste-tables displayed Norton Dommi engine spares alongside banks of Keihin CV carbs, and there wasn’t much elbow-room if you wanted to inspect any of the many Japanese machines for sale. 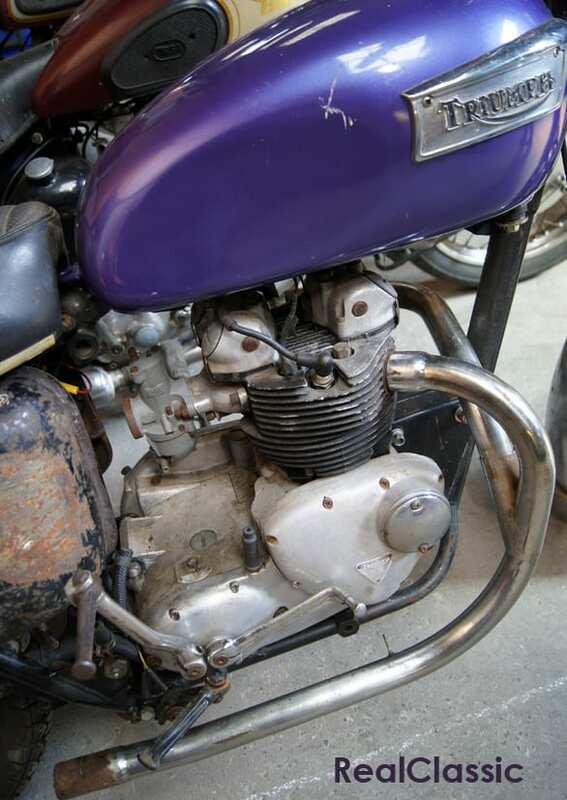 Of course, it helps that the purchase price of old Japanese motorcycles makes a project feels less daunting. 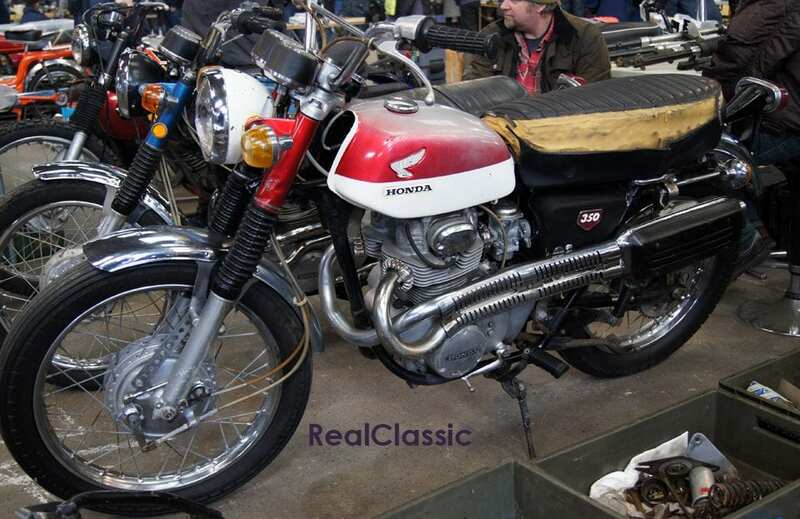 Editor Westworth was mighty tempted by this Honda CL350 at £1250, figuring it’d make a good stablemate for the BSA B25SS. 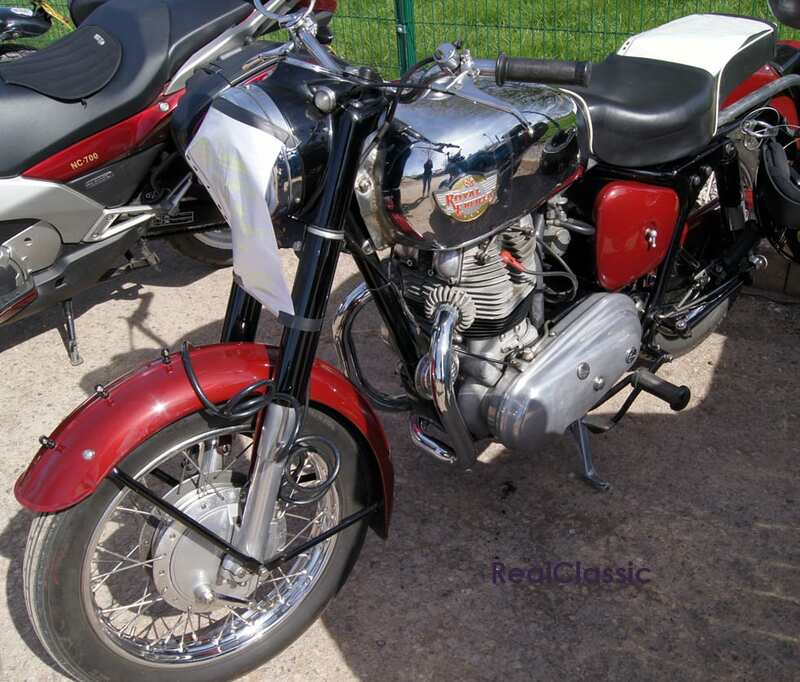 Speaking of BSA-Triumph unit singles, here’s one now. 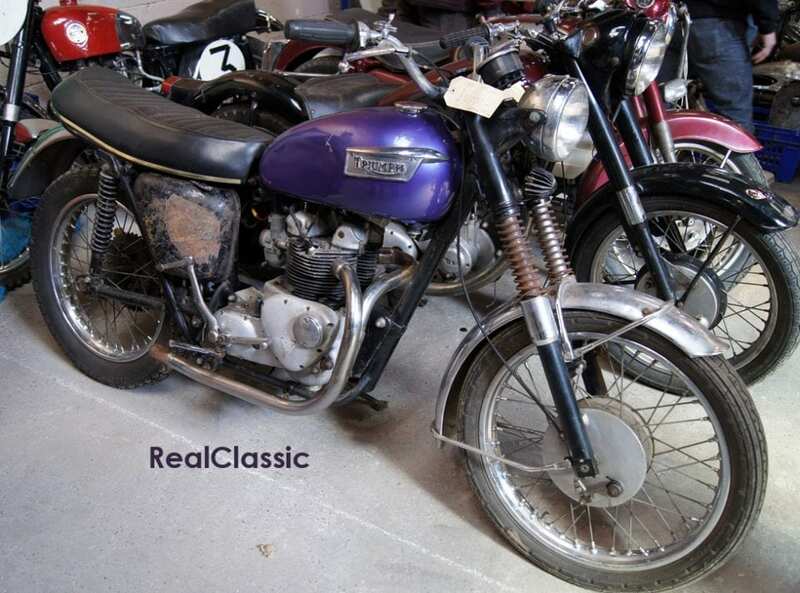 In fact there were a matching pair of pre-oil-in-frame 250s: this 1970 Triumph TR25 Trophy and a BSA Starfire, both up at £2200. 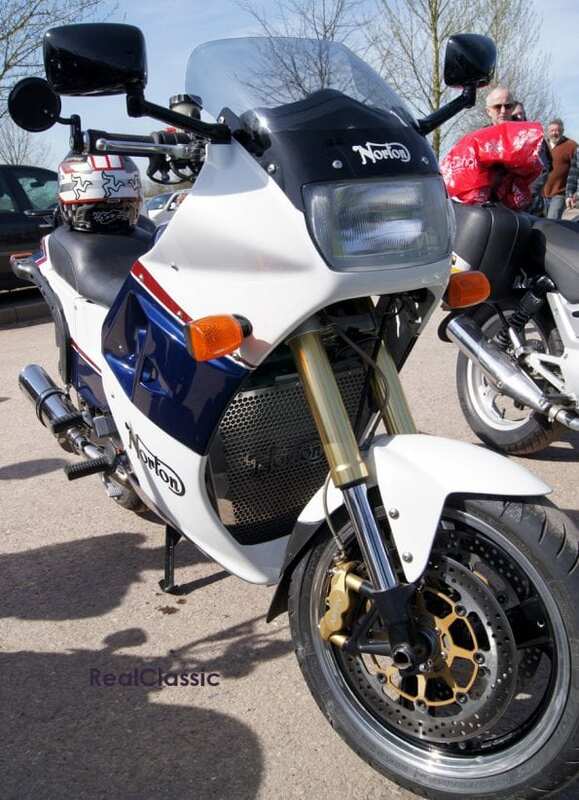 That price makes the Honda CL sound like a snip: a grand cheaper, overhead cam, electric start and all that jazz. 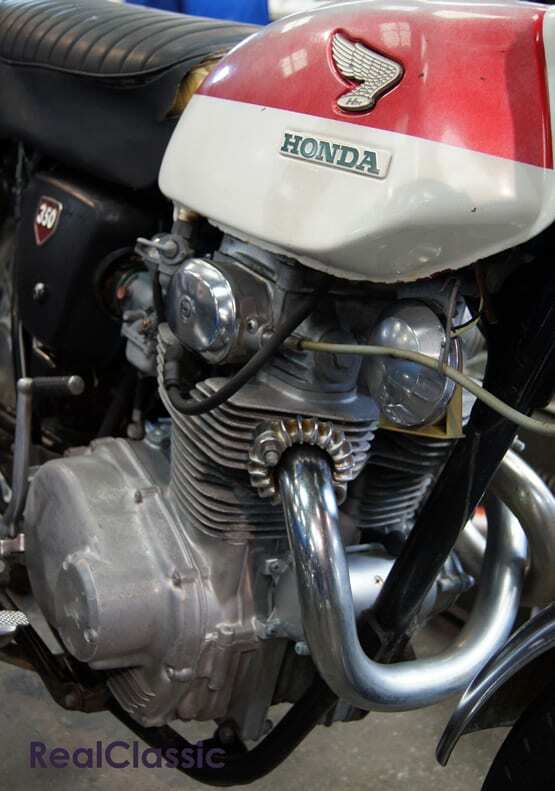 However, we reckon that if you’re trying to restore to standard spec then you’ll have an easier time sourcing NOS and repro spares for the BSA or Triumph than for the Honda. 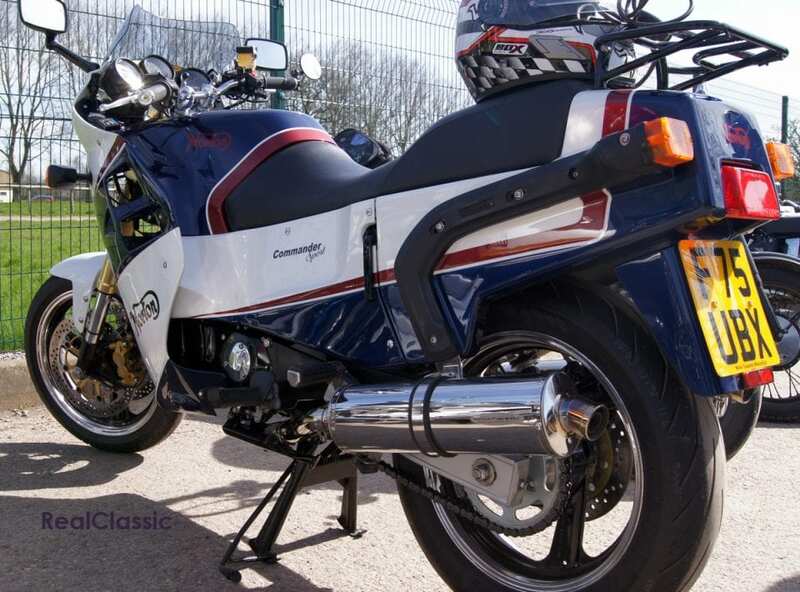 But if you’re a dab hand at fabrication and fancy creating a new wave custom street-tracker… well, the CL looks tempting, doesn’t it? 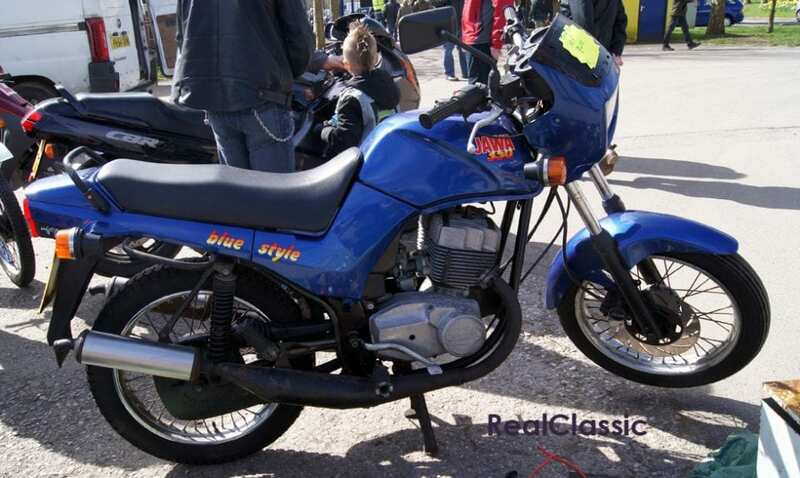 And finally (for today) here’s a bike with a style all of its own – Blue Style! A 350 twin ‘Commie stinkwheel’ (we luv ’em round here, so that’s a term of affection). Yours for four Franks*, guv. Can’t say fairer than that, now can you?